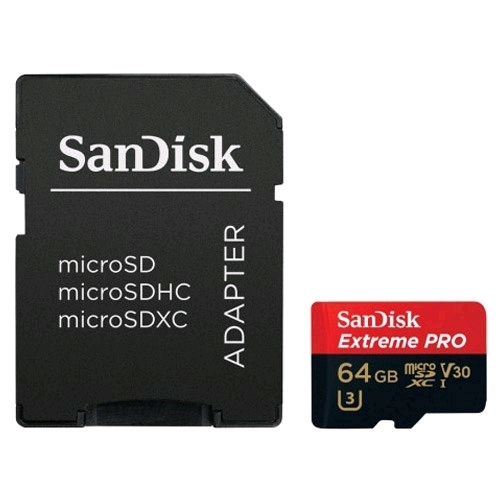 SanDisk Extreme PRO microSDHC/microSDXC UHS-I memory cards now come with up to 64GB of storage for uncompromising smartphone, tablet and camera performance. 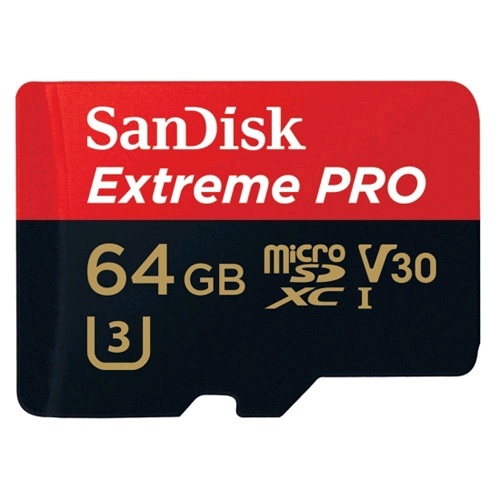 Capture 4K Ultra HD and Full HD videos** and enjoy transfer speeds of up to 95MB/s** so you can shoot like a pro and still experience world-class responsiveness from your phone. Class 10 and UHS Speed Class 3 (U3)** ratings mean your videos can meet today's highest resolution standards.